Renting In Retirement: Even The President Is Doing It! Renting in retirement goes upscale: even the President is doing it! Not that long ago, I was sitting with a couple to discuss their retirement and housing plans when I suggested that renting might be a better solution for them than buying. Their shock was almost palpable. “Renting?” they gasped, grimacing and then pulling back from the table. “That’s not for people like us!” they sniffed. My, my. How things have changed. 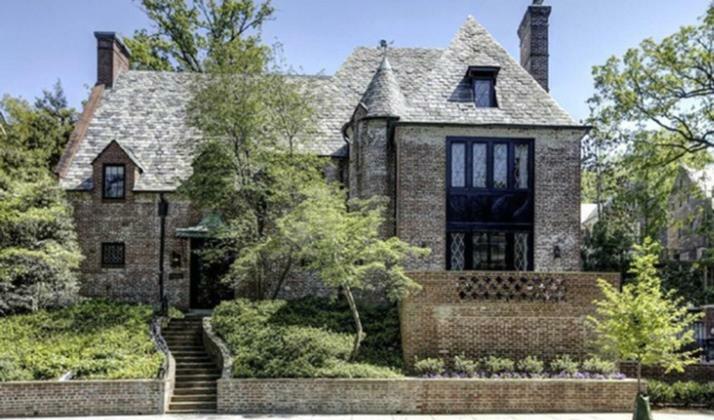 We just heard that once they leave the White House, President Obama and his family will be staying in D.C. and renting a 8,200-square-foot brick Tudor in the tony Kalorama neighborhood, for the modest sum of $22,000 per month. It seems that the concept of renting in retirement has unmistakably gone upscale! It’s true that buying usually does make more sense for most people, especially with mortgage rates at record lows. But there are very good reasons to rent in certain circumstances, including for individuals heading toward retirement. In fact, in those cases, it would be foolish to buy. #1. RENT if you think you might be in the house less than 5 years, for example, if down the road you may want to relocate again into a 55+ community, or move closer to the grandkids. The Obama’s want to stay in Washington until their youngest daughter finishes high school. After that, who knows? It is very hard to recover realtor’s fees, transaction costs, moving and other expenses in less than 5 years. Plus, the real estate meltdown showed us the dangers of trying to cash out shortly after you buy in a falling market. Renting makes you relatively footloose and fancy free. Buying does not. #2. RENT if you’re relocating and are not sure it will work out. We once worked with a couple who relocated to Florida and bought a new home. Turns out, they hated it, and picked up and went back to the Boston area. If you’re testing out a new area, try renting first to make sure you like it. #3. RENT if you have better ideas of what to do with your money. “The home is an illiquid asset that ties up money that could be used in other ways while a retiree is healthy and can enjoy it,” says Ralph McLaughlin, chief economist at Trulia, in an interview with The Wall Street Journal. #4. RENT if you don’t have the cash flow to keep up the house properly. Keep in mind that houses don’t pay dividends and you can’t eat the appreciation (and despite the TV ads, reverse mortgages are rarely the right solution). In fact, houses actually require constant infusions of capital (the air conditioner broke, you need a new roof, the water heater is leaking, and so forth). If you don’t have access to that kind of cash, you’ll either watch your life’s biggest investment fall into disrepair or dig yourself into an untenable financial situation keeping up a house you can’t afford. (Rule of thumb: budget 1-2% of your home’s market value each year for repairs and maintenance, in addition to taxes, insurance, utilities and home owner’s or condo fees). #5. RENT if your money can work harder for you outside of your home. This is a corollary to Rule #4. We worked with a widow who had lots of equity in her home, and only a small mortgage payment. The problem was that the house was far from her kids, she wasn’t doing well living on her own, and she needed monthly income to cover her retirement expenses. Clearly a move was in order, but should she buy a new place or rent? She decided to rent in a 55+ community closer to her kids, and invest her funds to provide a monthly income flow. That gave her more flexibility and money in her pocket, instead of in the fancy stainless steel dishwasher.